If you’re anything like me, food is always a top priority when making any big decision. When you’re deciding where to go to university, it’s always worth getting to know the city you’re thinking of choosing as well as the university, and places to eat can play a big part in this. Luckily, there’s a great variety of places to eat in Leeds, and with restaurants, cafes and takeaways to suit every need (as well as the student budget), you’ll be spoilt for choice. If it’s Indian food you’re after, look no further than Bundobust. 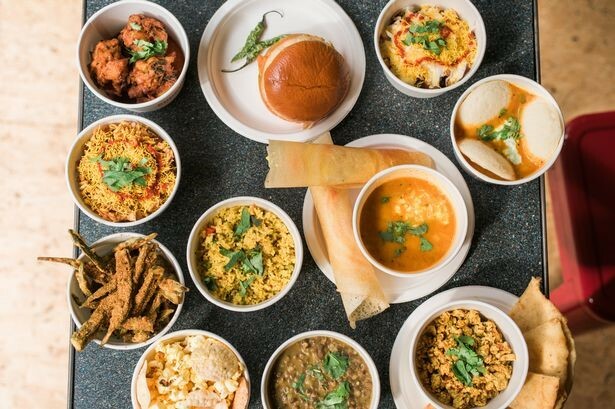 Putting a unique and dynamic twist on traditional Indian street food, this place really goes above and beyond the average curry house. Although you may not recognise everything on the menu (it’s mostly South Indian dishes such as masala dosa, pav vada and idli sambhar) it’s sure to be an adventure in trying something new, rather than ordering the same old chicken tikka masala you’ve had a thousand times before. The restaurant’s street food ethos makes it affordable for students, with small plates coming in at around £3-5 each. It’s the perfect place to go with a group of friends, as you can order a selection of small plates and split the bill without breaking the bank. This little burger joint right opposite the university makes for the perfect Friday night treat after a long day of lectures. Offering an all-American experience with its diner-style décor and a drool-worthy selection of burgers, shakes and waffles at decent prices, you can just hop over from Parkinson Steps and pig out for under a fiver. And they’re not stingy either – you definitely get the most for your money, with big portion sizes and a side of chips included in every meal. The burgers are to die for, with the most succulent, tender chicken sitting on soft, perfectly toasted brioche buns, and melting cheese oozing out of the middle. Hummus fans can now rejoice with the opening of the new branch of the Humpit in Leeds University Union this September. 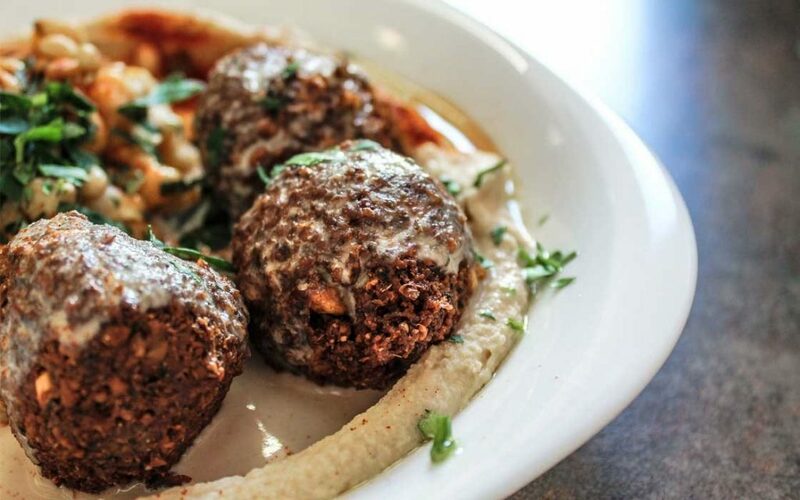 Previously a little-known secret tucked away in the Corn Exchange, you now have access to hummus bowls, soft, pillowy pitta breads and crispy, spicy falafel right on your doorstep. Although it’s little too pricey to reasonably go here for lunch every day, it’s not too bad for the occasional treat. This is the best place to go for breakfast in Leeds, hands down. If you’re looking for fluffy, thick American-style pancakes, this is the place to be, and although it’ll set you back a fiver for a stack of pancakes with butter, maple syrup and a choice of blueberries or bacon, it’s the ideal place for a Pancake Day treat. Or any day treat really. A little café located right by the station, this place is perfect for a morning pick me up if you’re killing time before your train. With a lovely selection of artisanal coffee and cakes, it’s also a good place to study (or pretend to while you’re actually people-watching or scrolling through Instagram) or meet a friend for brunch. Although it’s a little on the pricier side, the quality of the coffee and food are worth it. This is a good place to take your parents when they come to visit. Just a little too far on the fancy side to be affordable to students, but still delivering on the quality of food, ambience and service, it’s a sure-fire way to impress mum and dad when they come and eat out in Leeds. They really go above and beyond to give you an authentic Thai experience, from the little bowls carrying complimentary jasmine tea to the drumming and song and dance they make when it’s someone’s birthday. With branches in both Headingley and central Leeds, this is a great place to go for special occasions. 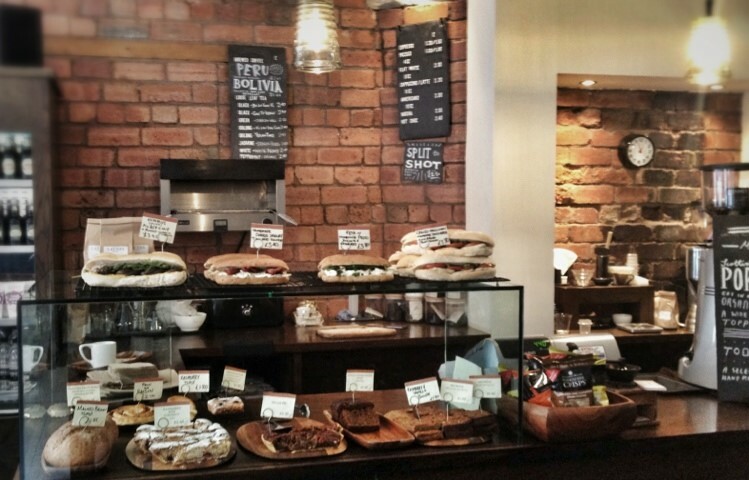 A classy café/bar in the heart of Headingley, this is the perfect place for all occasions. 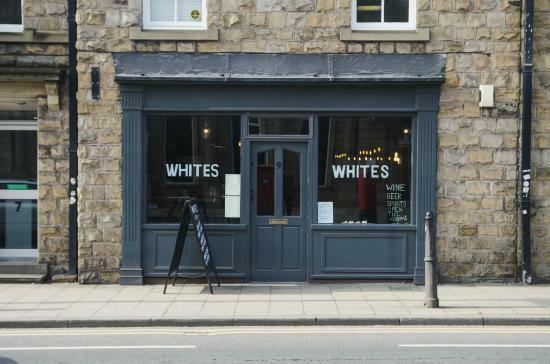 Whether you’re in the mood for lunch, dinner, afternoon tea or even drinks in the evening, Whites has you covered. The fairy lights and low-level lighting create a great ambience, while the staff are always friendly and welcoming. Formerly known as the Clock Café, this is another place that’s atmospheric enough to make you feel fancy, whilst also being affordable enough to enjoy yourself in without worrying. It’s Hyde Park location makes it a popular haunt for students grabbing a bite to eat or catching up on a few drinks in the evenings. They also have a whole host of events like poetry readings, pub quizzes, jazz and open mic nights, so you can pretend to be cultured. Finally, this unique café in Hyde Park is a real taste of something different. Boasting a rich menu filled with Middle Eastern delicacies, you’ll be spoilt for choice if you want to try something new. It’s perfect for vegetarians and vegans as well, as they have a whole separate menu to cater to your veggie friends. Written by - Ananya S.